The internet can be a great source of information. You can literally Google anything. One downside I have noticed is that there is a lot of misinformation too. When it comes to business, it seems to be glamorised. It’s cool to run a business. Anyone can do it. To add more fuel to the fire, most articles are either overnight success stories or some form of how-to-build-a-6,7-figure-business-under-30-days nonsense. Not many are brave enough to share what it really takes to run a business and how it can impact small business owners physically, mentally and emotionally. That’s why I’m introducing this new mini-series with Zoe from Barley & Twist, who is part of our Atelier of Success and kindly agreed to document her journey once a month. Zoe started it after realising that corporate life and fitting in wasn’t for her. Her love of furniture goes back to times when she was a student in the 80s and couldn’t afford new furniture. Even though her career took her in a different direction, she kept honing her skills and developed a love of classic looks with a touch of difference and a hint of character. Zoe went on to pursue her passion and attended upholstery school, and undertook extensive and intensive training to perfect her craft. 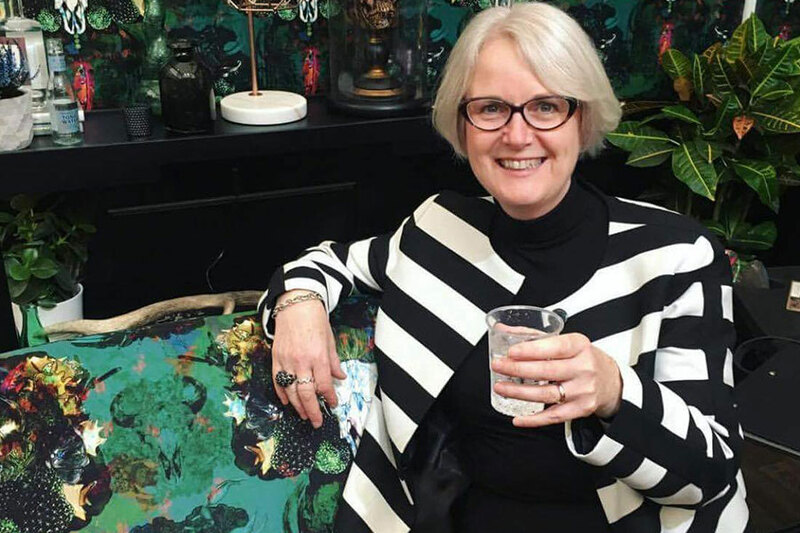 Now she runs her business from her new premises in Ormskirk (below is the REAL story so keep reading on) where, aside from working on her commission work, she also hosts monthly pop-ups and upholstery workshops. 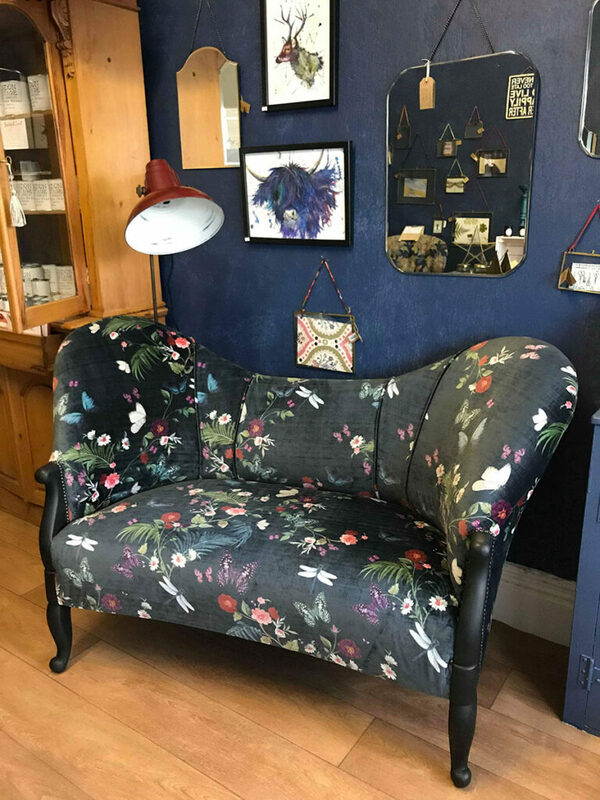 If you’d asked me 2 months ago how things were going in my upholstery and vintage interiors business, I’d have told you that it was an amazing start to the year with commissions coming in and sales in store. But things can change quickly in retail. In fact, things can change overnight. At the end of April I unexpectedly and hurriedly had to close my shop, just 10 months into my lease. The woman who had the shop next door had a turn (let’s call it that anyway), and I no longer felt safe, so I requested a release from my lease. Less than a week later I had vacated the unit and all my stock was in a lock up. I’m not one to stay down when things go wrong though, so I got onto the internet and hunted for new premises. Nothing. Absolutely nothing. No, that’s not true, as there are plenty of premises to rent in my town, but sadly most of them are in poor condition, with a rent level you’d expect for clean, fresh spaces. I eventually found somewhere in the next town, 20 minutes drive away. The downside, though, is that the unit is on a trading estate, not a retail street, which means I am having to change my business model. Completely. Less retail and more workshop, with a monthly pop-up shop. Thankfully I am an artisan and so a workshop environment suits my trade of upholstery, and if only I could trust that it’s all going to work out okay, then I’d be just fine now that I’m all moved in and settled into my new workspace. I don’t know if you’re like me though, with that niggling little voice in the back of your head telling you that what you’ve done won’t work, and my niggling little voice has joined a choir of fellow niggling voices, all singing in beautiful disharmony together. In the last couple of days I’ve had a couple of commercial commissions for cafes increase their requirements. Getting those jobs completed and the money in the bank after a 7 week hiatus of earning just £150 will go a long way to changing the song the niggling voice choir is singing in my head. This week is all about slowing down my breathing, getting work completed, and making sure I get paid before the rent is due on Friday. Wish me luck! For latest updates please follow Barley & Twist on Instagram.